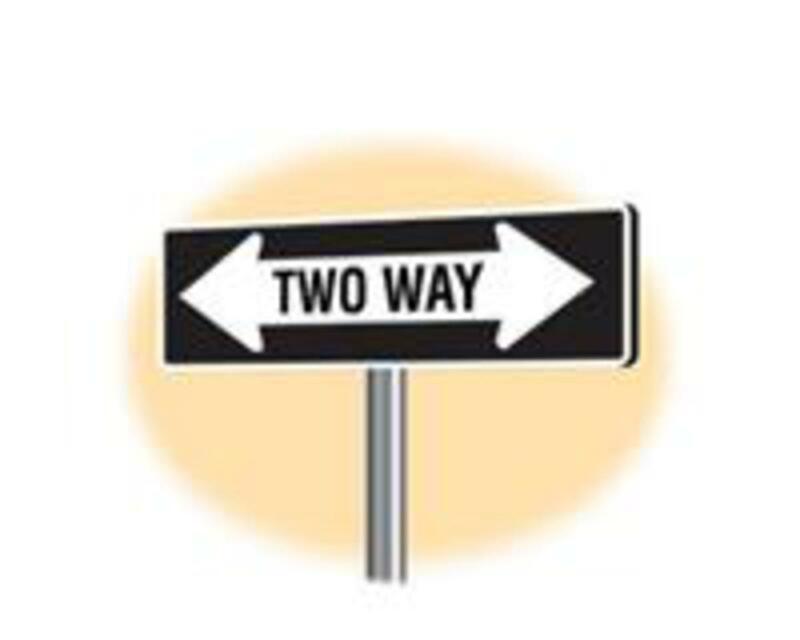 Have you ever found yourself going the wrong way on a one-way street? It can be pretty embarrassing, right? I'm sure you've all heard the classic jokes about drivers, especially those who are drunk, that are stopped by the police because they were going the opposite direction on a one-way street. One tells the cop, "Oh, I just thought I was late and everybody else was coming back" or the one who heard the policeman ask him "Didn't you see the arrows?" and replies, "I didn't even see the Indians." Nevertheless, going the wrong way in traffic is more dangerous than it is funny. Think of the many times we see or hear in the news of the horrific accidents caused by motorists going the wrong way in the streets and freeways. Knowing our way around town is necessary and it behooves us to know which streets are one-way and which ones are not. Strangely, this thought reminded me of forgiveness, which I also see as a two-way street. You see, the Lord not only commands His children to forgive, He also teaches us to go seek forgiveness from those we know we have wronged or offended. Jesus, in His Sermon on the Mount said this: "Therefore, if you are offering your gift at the altar and there remember that your brother or sister has something against you, leave your gift there in front of the altar. First go and be reconciled to them; then come and offer your gift." (Matthew 5:23-24) Quite obviously, Christ taught that God cannot accept anything we do for Him as a clean and unblemished sacrifice if we are not right with others first. Earlier this month, the Jewish people celebrated their holiest day of the year, Yom Kippur, the day in which they seek God's forgiveness for their national, as well as their personal sins. Did you know that the day before, known as Erev Yom Kippur, represents the very last opportunity they have to seek forgiveness from those they have offended ? They understand that if they do not take care of this matter, God will not accept their prayer the following day. How about you? Could it be that the Lord has not answered your prayers because you have wronged someone and have not asked to be forgiven? If that is you, I hope you treat it as if it was your last opportunity as well and make things right as quickly as you can. C'mon the Lord will help you. Remember that forgiveness is a two-way street. If the Lord has helped you to forgive others, He will also help you when you ask others to forgive you. Memory verse for the week: (Romans 12:2) "Be joyful in hope, patient in affliction, faithful in prayer."